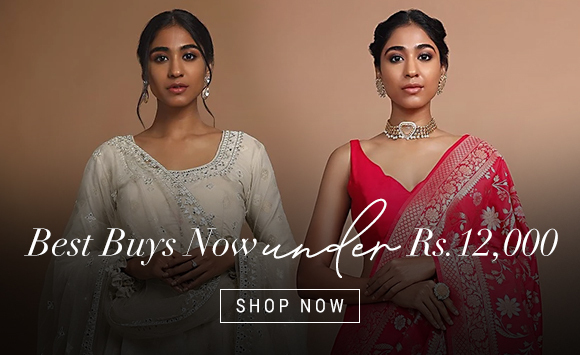 Exclusive Indian wedding sarees online for the beautiful Indian woman in the most elegant designs, hand embroidery, prints, colors and style that is all set to define your fashion statement in a new way. Transform your overall appeal and beauty through our classic wedding sari in beautiful Zari, Zardosi and Sequin embroidery that simply looks stunning and gorgeous. Our collection of wedding sarees is made to perfection as we bring for you the best in Indian bridal saree designs online. All Indian weddings are “big fat weddings”, lasting for weeks, with relatives and friends of the bride and groom going into a frenzy, dancing into the night and some even during the day. Indian weddings are extravagant and are celebrated like no tomorrow. Every person attending an Indian wedding, will also surely, without fault don an extravagant and luxurious traditional attire specifically designed and created, full of top notch embroidery and embellishment work. It is understood that the bride and groom must be center of everyone’s attention on their wedding day, but nothing is set in stone about the wardrobe of the attending guests. Wedding Sarees are those specially designed sarees, which are created to showcase the style quotient of Indian weddings and is kind of like a cultural friendly completion for the best looking lady after the bride, with the best looking designer Saree. Wedding Saree designs incorporate many beautiful embroidery and craftworks such as Zari, Zardosi and such along with sequins, designer borders and many more. 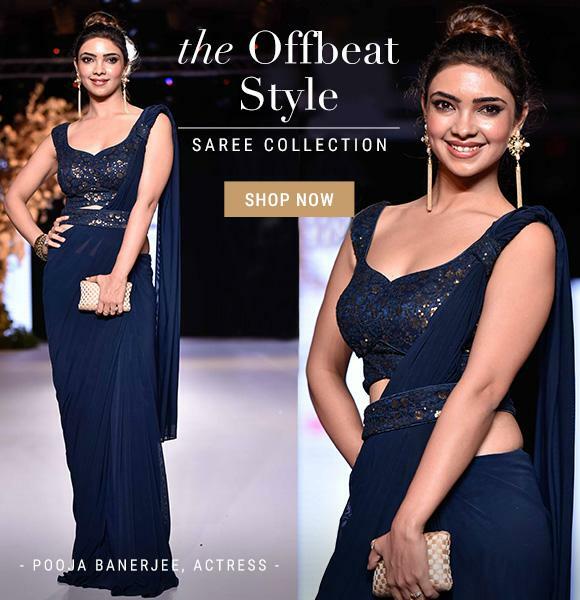 These embellishment and handicraft work coupled with conventional and fancy fabrics such as Chiffon, Silk , Georgette and many more, result is some of the most gorgeously designed Sarees out there. Wedding sarees are in fact highly fashionable and specifically designed Sarees and are meant to be worn the exact same way, traditional sarees are. One end of the saree is tucked inside an inskirt or petticoat at the waist and then draped all around the body in a certain manner, then creating pleats and tucking them under at the waist and the other loose end, to be hung over one or both the shoulders. As more and more people are moving forward and indulging themselves in the e-commerce industry, shopping and buying Wedding sarees online has become a lot easier and safer. We at kalkifashion.com always strive to offer our customers with the best products and services online. We curate one of the biggest and most fashionable collection stunning designer Wedding Sarees online at great prices.